Honolulu, Hawaii — Derek Akiyoshi has been appointed Administrator at Maluhia. 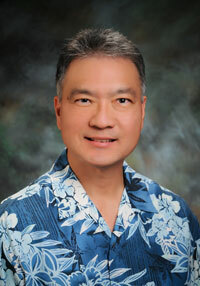 Most recently, Mr. Akiyoshi served as Assistant Administrator at Convalescent Center of Honolulu. Mr. Akiyoshi has also held administrative positions at Hawaiian Telcom as Human Resources Business Unit Manager and as Assistant Operations Manager at Hawaii Transfer Company Ltd. Additionally, he held various administrative positions at Grace Pacific Corporation for 18 years. Maluhia is one of 13 facilities operated and managed by the Hawaii Health Systems Corporation (HHSC). Established in 1996, HHSC is a public benefit corporation of the State of Hawaii. As the state’s safety-net healthcare system, HHSC continues to fulfill the state’s promise to provide quality, hometown healthcare.